Brightens, lightens and improves skin tone and texture. Makes skin elastic and tightens the skin. Improves blood circulation for a younger looking appearance. Heals skin scars and tries to diminish it. Cures acne, blemishes, breakouts, black heads and common skin diseases. Provides adequate nutrition for a healthy skin. 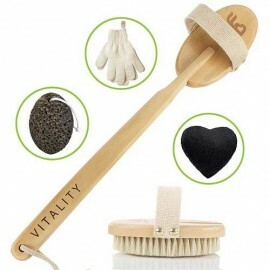 Reduces inflammation and rejuvenates skin. This supreme scrub consist of Charcoal fused with Dead Sea salts helps you in removing oily and impure skin. It helps you to rejuvenate your skin with all natural ingredient infused. 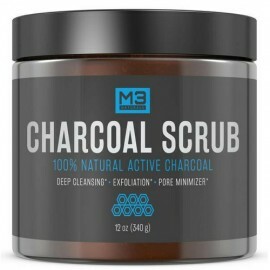 Removes excess oil and dirts from skin. The best body oil which soothes and cleanse your skin and give you a pleasant feel throughout your day. This oil helps you to get rid of body odor, acne and skin irritation. The oil helps in nourishing your dry and irritating skin. Controls flaws in skin and diminishes body odor and acnes. Takes good care of Athlete’s foot and toenail fungus. Avoids all types of skin irritation and itching. This is an amazing ancient way of treatment to beautify and to repair your skin damages. It is a healthy way of enhancing your look in a minute and rejuvenates the skin. This product helps us to go back to our ancient time and stay healthy. It helps in removing dry and dead cells from the skin. It makes your skin soft and exfoliates and even opens pores and diminishes toxins. It contains more of healing beneficial and beautifying effect. If you do not have a sensitive skin and it is damaged because of acne all over then you have to seek the help of the best cleanser for acne treatment. It's a very effective medication that destroys bacteria that causes acne in the face pores. 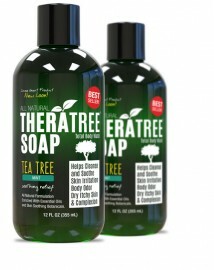 It is not only limited to face but you can also use it as a body wash.